Coupons come at us from a variety of sources; the mailbox, newspapers and magazines, store circulars and receipts, on products and even in our email inbox. Here are ways to use them effectively to save money. This is a guide about using coupons. I recently went to a couple of Coupon Classes locally and was sort of surprised that my brother's wife was very interested. She had no idea that there was such a thing. So since she was interested, I wrote down a few things that I learned and then after reading it a few times decided I should share what I learned. Below is my written response and keep in mind different areas of the country, cities, etc. have their own networks. Another thing to keep in mind is the location of the larger retail, chain stores. We don't have a Bilo or Whole Foods where I live, but the Coupon Lady raved about them. Check your area and see if anyone is offering one. Both classes were free and they fill up quickly. One of the things that I learned and was fascinated by was rain checks. I saw Kroger had a sale on broccoli for $1 a bag, and by the time I got to the store they had all been sold out. I was really quite disappointed and halfway home, remembered about the rain checks and went back. A week later I went back to the store, got 10 bags of Broccoli, presented the Rain Check and got them for $1 each, instead of their regular price at $1.99. I also taught the Coupon Lady something, and she now uses it in her presentations. All cities have peak hours for electricity and during those peak hours customers are charged a surcharge. I called Huntsville Power and learned our peak hours are Monday Friday 11 AM - 8 PM. I do not use the washer, dryer or dishwasher during those hours. Also, when I first wake up, I lower the A/C to 75 degrees F. At 11 AM, I turn it up to 79 degrees F and our house is actually cold. Also my rule of thumb is, if I touch the glass and it's warm, I close the blinds until very late in the afternoon. My electric bill last month was for $180, compared to my neighbors whose bills ranged from $225 - $400. Kroger and Publix in my area both double coupons up to 50 cents, but the Publix where my sister lives in South Florida doesn't. Both grocery stores compete for customers and there are a ton of sites that have coupons. If you like a certain brand of mustard, e-mail the company and ask if they have any coupons. I also learned that you can only use one coupon per an item and can only print 2 coupons for the same item if you go to assorted coupon sites and I was amazed at how many there were. The last class I was in went over all the drugstores. Walgreens was the best for coupons followed by CVS. Rite Aid has it's customers practically jump through hoops for any sort of discount. If you have a .50 cent coupon for a Mounds Bar at Walgreens (and only Walgreens, at least here), I could buy 35 candy bars and each one would be discounted .50 cents. Also, find out if you can order an extra Sunday paper so you can get double the coupons. The Coupon Lady worked out a deal with the local paper for customers to get an extra Sunday paper for a $1. She also said if you have 5 people in your family, you should have 5 Sunday papers. The class was very, very interesting. You should see some of the ladies who keep huge binders with their coupons in little plastic sleeves. The Coupon Lady also has a Facebook account, and she posts all the assorted stores, sale items, faithfully every Sunday. Her Facebook page is MoneyWiseShopper but it's for our area, but nothing says you don't have something like that in your own city. Even though it's from here, you can learn a lot by just seeing it. Click on LIKE and whenever the Coupon Lady posts something it will go to your Facebook page. Hopefully, I didn't bore you. I just wanted to share. I have been a staunch couponer for years. One year, I kept the money I that I saved and was able to buy a new washer and dryer at the end of the year. Two to five dollars a week at the grocery store adds up. Once when my local market doubled, I saved $98 on a $300 food order. With three teens in the house at the time, the free food fed the empty legs the boys seem to have. If you get a large coupon for product that you don't usually use, keep it for food baskets that churches and schools usually gather near Thanksgiving or Christmas. When using coupons or gift cards in restaurants, I've discovered that it is very easy for the server to become confused, as to the ownership of these items. Make it a point to mark them with something that catches the eye. When you go to a store or a restaurant and have multiple coupons, consider sharing with other guests. My husband and I recently visited a restaurant and a woman offered us a coupon for $3 off our bill. After watching a program on television about extreme couponing, it got me thinking. One woman's bill was over $800, but by the time she doled out her coupons she owed less than $3. 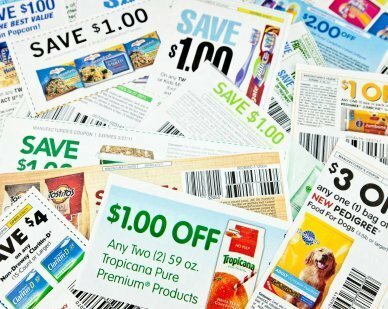 Don't expect the cashiers at the check out to pull coupons off of products for you! Some do but some do not! I have been disappointed several times about this. 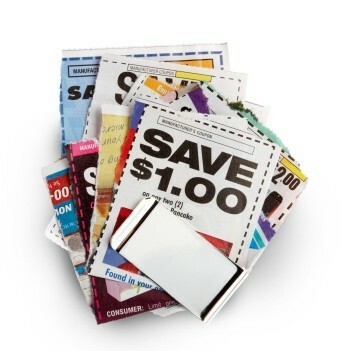 Here is an additional way to use your coupons: Have you ever not purchased an item you needed because you had left the coupon at home, necessitating a trip back to the store at a later date? OR worse yet, paid full price, grumbling all the while? I have a weekly grocery budget of $25.00. It was tight enough before, but now with rising prices it could be very tight. My husband raises a beautiful garden and fruit trees and I can the produce, and he even raises our own beef, and we have a milk cow because we raise baby calves. What we mainly needed was some variety. Coupons have made all the difference. I am the world's worst, I think, for remembering to use my coupons when I shop! I have tried lots of different things, but nothing helped. I finally came up with a way to remember! Many people do not realize that you can use coupons from the manufacturer along with the store coupon. For example, Walgreen has a coupon for Dawn soap for 99 cents. I have a coupon from the paper for 75 cents off Dawn. I can use them both and get it for 24 cents. I am a coupon queen, and while I am not at the level of those extreme couponers, I can still do some damage at the store! Recently, I was able to save my friend almost $17 in hair care products with coupons. I think I have totally mastered couponing. Follow my strategies and you will be buying more for less! My local Rite Aid would not letting me use a buy one, get one free coupon on an item that was on sale for buy one, get one free. Rite Aid's web site listed their coupon policy and they do indeed allow customers to use BOGO coupons with BOGO sale items. I print coupons. I have found I save a lot of time by placing several sheets in my crafting paper cutter. Voila, they are evenly cut and tidy also. No more hours with scissors. I am also a coupon queen, there was a store in my area that would double any size coupons! Oh mercy! I had finally found coupon heaven, as not many stores in our area have double coupons of any kind. I save thousands of dollars each year by couponing. I used to not use, trash, or give away coupons for items or brands we don't use, even if they were free or close to free. Check out your local grocery store ads for coupons on gift cards. Today, I saved $10 on a $50 gas card with a coupon in the ad. Although getting only encouraging information is great, it can be equally rewarding to have some of the reasons NOT to do something. When I had plenty of money, could afford mistakes or most anything within reason, I couponed for years on end as a hobby, making about $.75/hr. and accumulated so many products I really could NEVER have used up before they expired. I was a sucker for cleaners, and lotions, etc. When using coupons, I organize them by month not the item. For instance, all my January coupons are in the December area of a coupon saver and my February Coupons are in the January, March coupons are in February, etc. When shopping with coupons, if I decide not to buy the designated product. I leave the coupon for the next buyer. I'm just paying back for what others have done for me. When I use coupons at the grocery store, I write my check that much over. When I get home, I put it in my flower pot that is covered with a silk Boston fern. If a crook robs my house, I figure he wouldn't look there! Don't discard those coupons when you're thumbing through the Sunday paper. I rarely used them because compared with the prices at club warehouses and discount stores, I didn't find them to be a good deal. This is saving me time and money at the grocery store. With trial and error, I finally figured out how to use coupons more effectively and efficiently. . . If you are a coupon user and are always looking for the coupons for the foods you like to buy, here is an idea I have been using. Use any name brand of your choice and key that name brand with .com following it. Start A Coupon Exchange. When you are close friends with other neighbors, and you have different needs, exchange coupons! E.g., 1 neighbor has 3 cats. Next door has 2 adult dogs. 1 has a newborn infant, and 1 is past the "Change". When shopping use coupons. Sometimes you will find out that generic are a better deal than the name brand with a coupon, sometimes not. How Can I Get More Coupons?